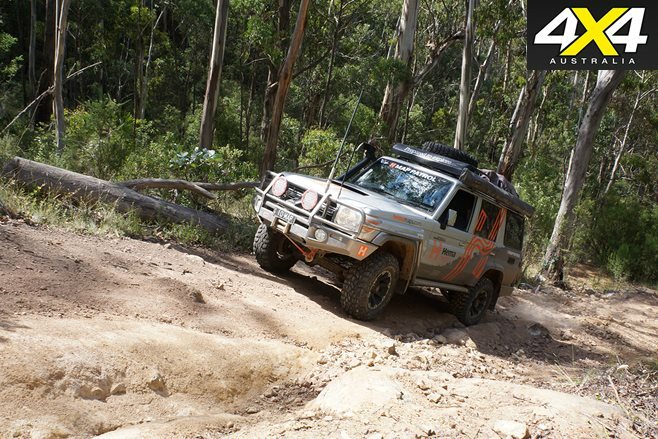 I WAS checking out the Hema Maps website the other day and found an article listing the toughest tracks in Australia. I have to say, it was pretty close to being on the money from my experience. The first one listed – the route to Geosurveys Hill in the heart of the Simpson Desert, normally reached via first heading along the Madigan Line – is sadly now closed to the general touring public. Still, if you can wrangle a permit, you’ll need desert experience, good navigational skills and a well-sorted vehicle to get there. Old Coach Road, which runs from the deserted township of Maytown to Laura, would have to be one of the toughest tracks on Cape York. I’m not totally convinced it’s as challenging as the Old Telegraph Track, but Old Coach Road doesn’t have any ‘chicken’ or bypass tracks on it either. The Ingeegoodbee Track in the Victoria High Country also gets a mention on the Hema list. This would have to be one of the most challenging tracks in the Australian Alps. While there are shorter tough tracks in the Vic High Country – some of the ones north of Walhalla that plunge into the Aberfeldy River valley – none are as long or as consistently demanding as the Ingeegoodbee route. Fourth on Hema’s list is Talawana Track and, while it’s corrugated and subject to a few washaways, we don’t think it rates in the top 10. There are many tracks across the Outback worse than the Talawana route. 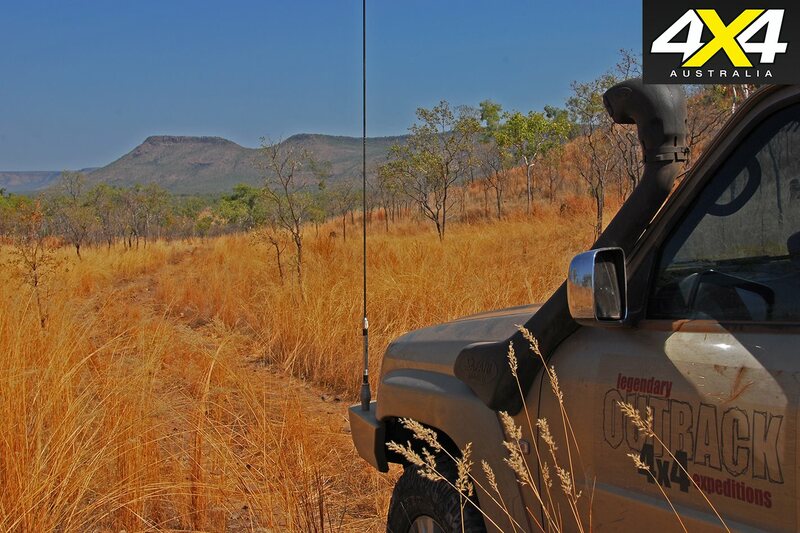 One that is right up there with the most challenging paths in the country is the remote Carson River Track, which cuts across the Northern Kimberley from Home Valley in the east to Kalumburu Road in the west. Not only are there some impressively difficult jump-ups to climb and descend, there are also tidal-wracked rivers to cross – while in the low-lying areas, the route often vanishes under a thick veil of three-metre-tall grass. I’ve only ever driven this route once and it was a classic adventure, where punctures and navigation (even with a GPS) were issues. Staying in the Kimberley, the track out to Walcott Inlet from Mt Elizabeth is probably the toughest route in the region that is also easily accessible to the general public. Jump-ups and boggy flats are all part of the adventure, especially early in the season. 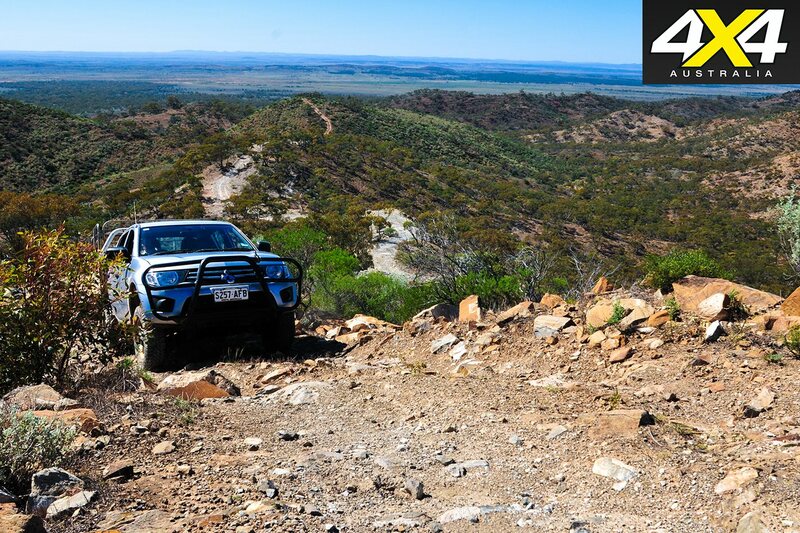 Further south in WA’s Pilbara region, the short but steep, rocky climb to the crest of Mount Meharry – the highest peak in Western Australia – is a beauty, meant for low range, tough tyres and good ground clearance. One route that deserves a mention is Balfour Track in western Tasmania. Heading inland from the coast south of Temma to the old mining town of Balfour, the route crosses boggy, often flooded heathlands, which is a huge challenge for anyone. Of course, just a little further south and reached by the same track is the beach run to Sandy Cape. 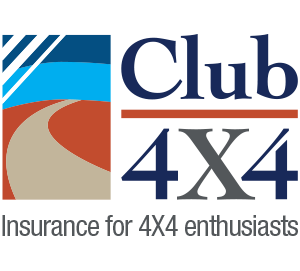 There won’t be as much mud, but getting bogged is extremely likely. It’s been a while since I’ve pointed a bullbar down a really tough track in NSW, even though I’ve been to many of the classic 4WD destinations in the south and central coasts and their hinterlands. 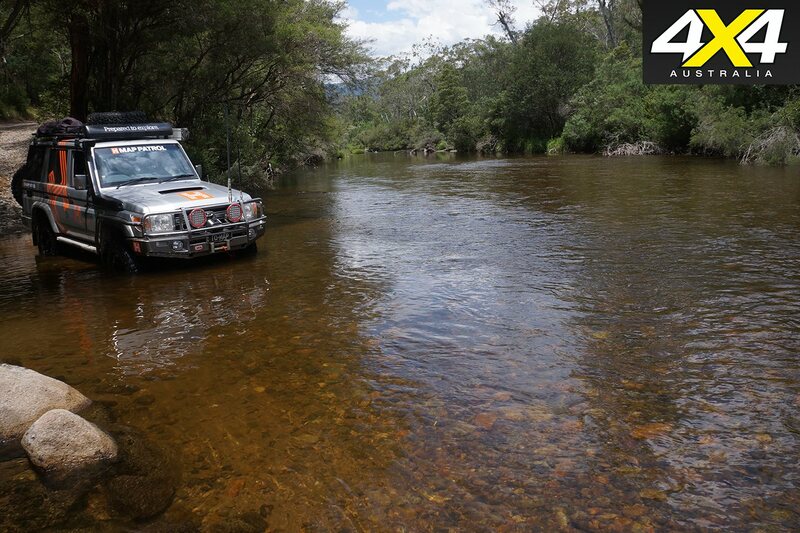 One route that stands out on the north coast and in the nearby mountains is Cells Jeep Trail, inland from Wauchope. We were in there one year and the rain caught us, which made for a very challenging drive out indeed. However, all is well that ends well. In South Australia you have to head for the Flinders Ranges to find a challenging trail, and all of these are on private land where you need to shell out a few dollars for access. 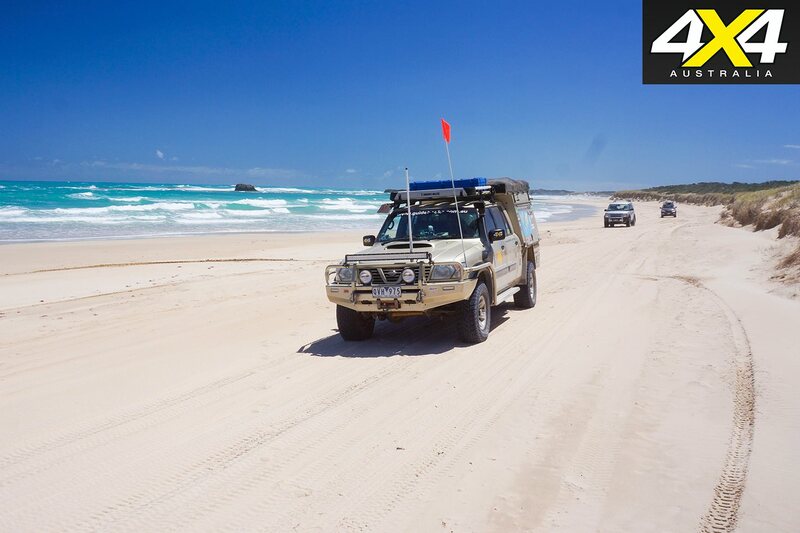 Beach driving is different, though, and the state has some great offerings, with the beaches south of Robe being classics. The beach run from Beachport to Carpenters Rocks can be quite difficult and tough, with deep, soft sand to challenge the most experienced and best-equipped. So, what are you waiting for? The Anne Beadell ‘Highway’ wasn’t mentioned as a challenging track. We started from the Eastern end Coober Pedy (SA) through the Great Victoria Desert and finished at Laverton (WA). 1400+ kms. It was shortly after rain which left some very challenging muddy spots. My husband and I travel alone and it was very disconcerting when we didn’t see anyone at all for 4 1/2 days until we arrived at Ilkurlka Roadhouse. We had researched the trip and knew it was there (diesel and eftpos available and camping across the ‘road’), it was great to have some human contact. It was mainly an Aboriginal community with a British fellow running the place. We then continued on and still didn’t see anyone for another 2 days until we started seeing mine vehicles (gold mainly) and road workers near Laverton. We have done many outback trips Simpson Desert, Canning Stock Route, Cape York (via the OTL) etc. this was by far the most insolated and rough that we have experienced so far. We did find out that a camel (one that wouldn’t get off the track) could reach 30 kms P.H. over a stretch of 6.7 kms.